Thomas Rainsborough's quote is perhaps the most important single statement of the Levellers philosophy, ' the poorest that is in England hath a live to live as the greatest.' 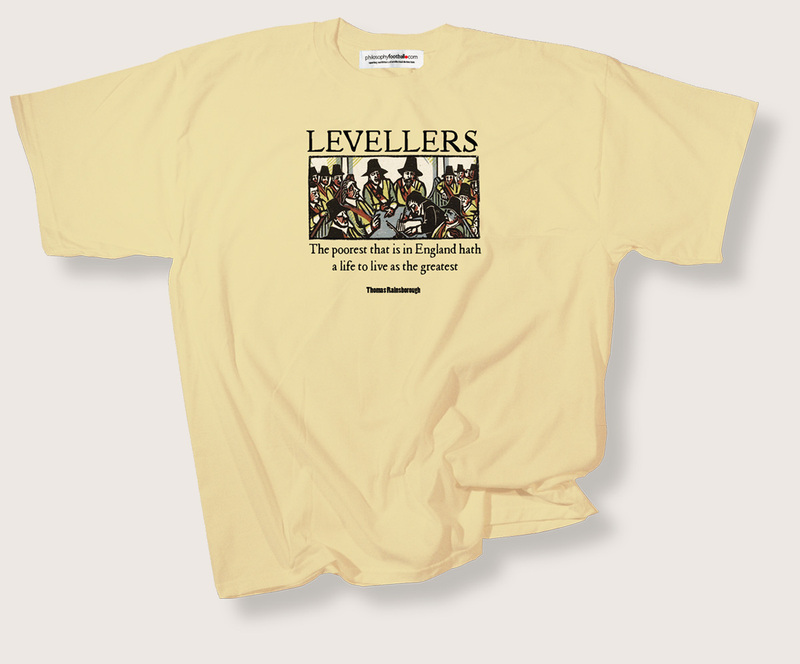 The Levellers were the radical movement at the core of the English revolution and their ideas remain central to ideals of social justice and democracy more than three hundred years on. Unisex sizes small (36inch chest/90cms), medium (40inch/100cms), large (44inch/110cms), XL (48inch/120cms) and XXL (52inch/130cms). as listed. Gift-wrapping service. With exclusive Philosophy Football wrapping paper and gift tag. To personalise your gift tag type the message you would like us to include in the box provided. Image thanks to Verso for permission to use from Clare Melinsky, Putney Debates,Rampant LIon Publications.